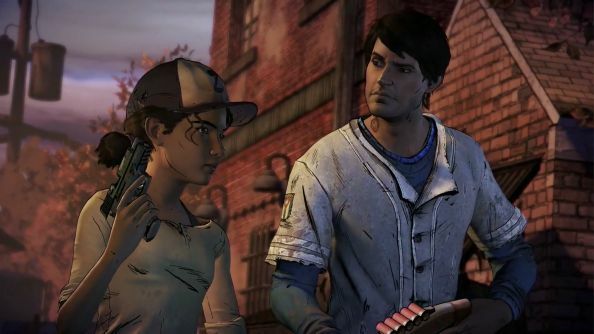 Cameron explains why Telltale dropped the ball in their inclusion of Clementine in season 3. The first season of Telltale’s The Walking Dead is something of an indie darling. It’s held to such high regard that many refuse to see anything wrong with it, and some consider it to be ‘a perfect game’. While I do love the first season, and the second even more so (yes, I’m one of them), I do have issues with both. The third season has been freshly released, and my adoration was reborn in pure anticipation in the weeks leading up. With it being nearly a month after, now having played both, it’s sad to say that my once glimmering adoration has been replaced with worry, and even disappointment, as a character we all know and love has made a poor transition into this new story. Maybe I’m jaded…my love for Telltale may have run dry after all these years. Though Tales from the Borderlands, and that previously mentioned second season, still hold dear places in my gaming history, it is still possible that the tried and true ‘Telltale formula’ has started to fizzle out for me. But the thing is, my issues don’t lay with the ‘formula’, the engine, gameplay or anything of those sorts really; no, what’s wrong is Clementine. Ripping away our control of her was a mistake. Telltale allowed us to take the reigns after such a tragic ending of the first season, and continue with the Clementine we had passed our skills and morals on with that season prior. As Lee, we guided her and taught her what we thought best. Though our options were limited, there was enough variety to genuinely feel as if she would be brought up differently for each player, but now all the progress we have made with her has been lost. Clementine is now who the story demands her to be, damned of who she was last season. Small snippets of seemingly connected flashbacks barely continue only the last choice made in season two. So far no mention has been made of season one, and it looks to be as if both of the former seasons are going to be held for just these miniscule flashbacks and nothing more. The Clementine that interacts with the new main character, Javier, is distant from the one that we once guided through all the perils of season two. Javier is a fine character. His story is tragic and personality likable, but we have no where near as close of connection as we do with Clementine. Telltale says we need to care for his woes when the majority of the time, a character who we care much more for sits close by, reduced to a side character. His tale would have been a good jumping off point for a new path for the series to take, but it still holds faint traces to keep fans interested who carry over from the rest of seasons. Unfortunately, Clementine is just a constant callback and nothing more. Though she has shown tremendous growth since the last we’ve seen on her, she could have been replaced by literally anyone else and nothing would change. The actual character of ‘Clementine’ holds nothing to this new season, and with the focus shift to Javier, it puzzles me why she would be included at all if they are going to backtrack on her character after all we have been through. Tell me, if she had been an entirely new character with no ties to the prior seasons, would anything change? No, nothing would change. The only thing that would be left out are the flashbacks, and even now they play such a minimal part as is, only sitting as fan service. Clementine is a husk of her former self, void of the choices we’ve made and values we’ve instilled. The history we have made along side her might as well be gone as it matters so little with the version of her we meet up with. Overarching themes and plotpoints that all players are bound to see do come into play but it feels moot when our actual choices as that character are tossed out the window just so this central version is basically clean for all players. Why include her at all if she isn’t going to be the Clementine we had come all this way with? The issue is that Javier’s story would have been fine and dandy solo before she had entered the picture, but now that she is here, a returning player’s attention is going to likely be drawn to her. Even if we look at the results for various choices from the two episodes, we see the loyalty and interest in Clementine over Javier’s story. At the end of the pilot, we are given the option of either staying with Clementine during a shootout, or aide in a getaway and safety of Javier’s family, and the majority chose the former. People are clearly going to stick by Clementine, and are more interested in her over these new characters. There is obviously an attempt here at introducing new people into this story but then feature a much more personable option for many players. The spotlight is now divided between the two, and neither is going to get as much characterization had it just been about them. Now that Clem is going to steal the spotlight, as so it seems, it’s sad to see that it’s not the one we knew. The conversations we with her are filled with sassy quips and sarcastic comebacks, and she holds her own quite well as a capable little heroine, but that may not be who she was in our last season. If someone played her as a very meek and shy person, it’s a stark contrast to how she is now. Her persona now completely disregards certain ways her personality could have been piloted, and though she fits my bill almost to a tee, I know had I gone a different route, this would be jarring. A few years may change a person, but not that much time has passed for Clementine to be an entirely different person then from who she is now. Even though she is more like how I played her, my choices still don’t matter. Regardless how well that personality may line up, it doesn’t excuse the fact that she now her character can be taken in ways that completely contradict how she may have been played up. It’s like a novel i was writing was given to someone else to conclude. I’m at a loss as to how her story will go which feels so odd considering we had guided her all last season towards that ending cliff hanger, expecting it to continue on, but it never will. Our influence is now minimal, and it seems like this season is awkwardly split between reminiscing alongside an old character, while simultaneously trying to tell a new story. Clementine’s history may as well be wiped as nothing she is now resonates with the choices and challenges faced in the season prior. Her appearance is a reminder of emotional times, but this time around it may not be for the best. Standing as nothing more than that reminder, Clementine’s inclusion in The New Frontier feels like a betrayal, not only to her character, but to the stories that hundreds of thousands of players had crafted only a few years ago.